Hanover (a prime area) is small but picturesque. Much of it consists of rugged cattle pasture country. The Dolphin Mountain Range, named for its resemblance to the marine creature, makes for a spectacular backdrop, and there are large caves and small waterfalls among the mountains. Along its coastline can be found several coves once frequented by pirates. A lake appears in Chigwell after period of rain. Several historical sites can be found in Hanover, most of them almost 300 years old. Overlooking the bay is Fort Charlotte, built in 1761 and said to be connected to the church by a subterranean tunnel. On a more rustic note, an authentic old waterwheel, also still functioning, lies near the world-renowned Tryall golf course. The capital, Lucea, has retained the look of a 19th century town. As a centre of trade and a free port in the early years of colonization, Lucea attracted people of various cultures. Its old church was built on the foundations of an earlier church that was erected by the Spaniards. The town’s architecture is dominated by the style adopted by freed local slaves, known as Caribbean Vernacular. The pace of life in the town matches its look. Although it is now populated by a large number of immigrants, it is still rather quiet. 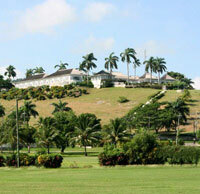 Besides Lucea, the other important towns of Hanover are Green Island, Sandy Bay, and Hopewell. The last, which is just 24 kilometres from Lucea, has a fine tourist resort. Hanover is not really a tourist area, however. There is not much by way of nightlife and commerce here and the roads and infrastructure are not that well-kept. Hanover is mainly a place for nature lovers who seek a tranquil place to call home. At once cosmopolitan and quiet, Lucea has a multiethnic population that has contributed richly to the town’s character. Lucea is the home of descendants of Jewish refugees, members of the Ettu tribe of Nigeria, and all other sorts of immigrants. It offers a variety of historic attractions, nightclubs, and parks, and is surrounded by orchards and agricultural fields. The Hanover Museum is housed in a prison erected in 1776 and houses a collection of historical artefacts. An old clock tower stands in the heart of the town, still ticking to the rhythms of urban life after nearly two centuries. Notable buildings in town include the Old Lucea Court House and the Hanover Parish Church, which is said to have an underground tunnel connecting it to the 18th century bayside stronghold of Fort Charlotte. 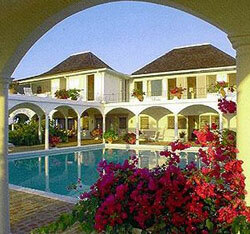 Many tourists visit Lucea as it lies between the hotspots of Montego Bay and Negril. Despite this, development of tourist facilities has been slow. There are plans to develop Fort Charlotte into a tourist facility with an adjacent craftsmen’s village. Some luxury resorts are in the works, too, especially around Dolphin Cove. The lively village of Hanover has some large hotels and resorts. The Tryall Golf and Beach Club, formerly a sugar plantation, is here. It still has a working waterwheel and the ruins of a fort. Hopewell has a large public market on Saturdays. There is a picturesque 19th century Methodist church here. On the Flint River is an old stone dock with a cannon and old sugar works. In Green Island, the fishermen go out in the early hours of the morning, and the fresh catch is ready to be bought some hours later. Green Island is a small town with a few shops, supermarkets, restaurants and bars. It sits between Negril and Lucea and has a new water park.